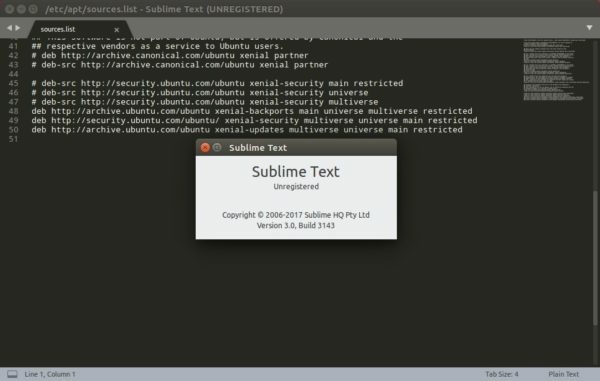 The community has made Sublime Text 3 into the SNAP package. So far, it’s available for testing in candidate channel. A snap is an universal Linux application comes with all its dependencies bundled. It runs in sandbox and is isolated from other system software. If you just want to install latest stable Sublime Text 3 in Ubuntu. There’s an official apt repository and here’s how-to tips. The command works in Ubuntu 16.04 and higher. And the --candidate flag is not required anymore since the snap is now in stable.